Mar 09, 2016 We’re sorry you had an issue with your returns package. We use a logistics/shipping company in Salt Lake City for all of our outbound and inbound packages. We list this address on our website for everyone to see, and it is the return address on every package we send. We receive returns to this address 6 days a week. We’d be more than happy to assist you in figuring out the problem. You can contact us at 855-714-3234 or you can email our support team at support@nugenix.com. Please provide as much detail about your account and the return tracking number if you have it. We’d be happy to assist you. 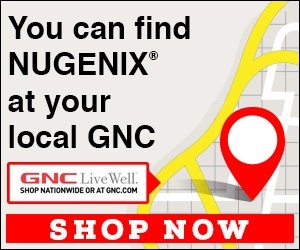 Nugenix is one of many companies who are scamming people left and right. I tried to return a one month order that I never asked for as a result of having a negative experience with their so-called 14 day trial offer. The USPS has emailed me on 2 occasions saying that they were unable to deliver the return package. Don't get caught up with this scam of a business!! They don't want the return product because they were only interested in deceiving you with the trial offer. They are able to get away with this because they work out of an undisclosed location. They are nothing more than one of the many rip-offs that are surfacing throughout our country. Their product is no more beneficial to a human being than 3rd rate dog food. Review #803776 is a subjective opinion of User803776.